Thousands of users already optimized their WordPress sites with Clearfy plugin. It’s multipurpose and free tool with tons of settings. Combine it with other plugins and you’ll get better optimized and secure WordPress website. Robin image optimizer – saves your money on image optimization! We’ve created a 100% free solution for image optimization, which is as good as the paid products. The plugin optimizes your images automatically, reducing their weight with no quality loss. 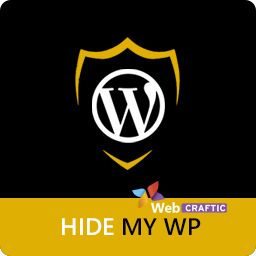 Hide my wp (Premium) – hides your WordPress from hackers and bots! This premium component helps in hiding your WordPress from hackers and bots. Basically, it disables identification of your CMS by changing directories and files names, removing meta data and replacing HTML content which can provide all information about the platform you use. You can disable unused scripts and styles per page or at all website. It also helps to avoid duplication of similar scripts, fonts and styles. This plugin helps to disable notices, so no annoying updates or nag notices (update to premium, leave a comment, etc.) will bug you anymore. You can hide any particular notice or all at once. Controls WordPress updates, disables all updates, and enables/disables all automatic updates or custom updates for a particular plugin. This simple plugin safely hides login page and disables access to the WordPress admin page. Plugin doesn’t affect the source code, doesn’t rename files and doesn’t change your server configuration. This plugin converts Cyrillic and Georgian symbols in posts, pages and tags for readable permanent URLs. It also fixes incorrect file names and removes extra symbols preventing you from any access denial problems. This plugin is the best solution for disabling comments on either the entire website or exact post types. It disables not just plain comments, but all related functions as well. Cyr to lat reloaded is the improved version of the popular Cyr to lat plugin, created by Sergei Biriukov, and Rus-To-Lat plugin designed by Anton Skorobogatov. Even though the plugin is still easy & simple, we have updated both the symbol base and the source code, and fixed known bugs. This plugin helps to plug in Google Analytics code to the website pages without affecting the theme code. All you have to do is to enter the tracking code. That’s all. Unlike other plugins, this one cares about your website performance and caches Google Analytics scripts. The Vkontakte API plugin is designed for the regular users who need to add any Vkontakte widgets on their websites. There’s no need to be an expert in programming nor asking someone for assistance, as the plugin will be easily installed in a few clicks.